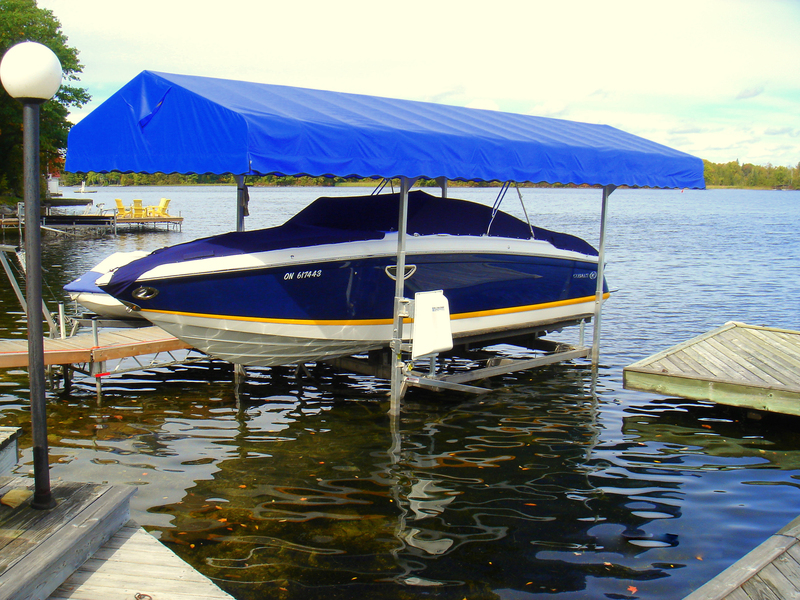 Our aluminum truss frame system keeps the rain and ultra violet rays off of your boat. 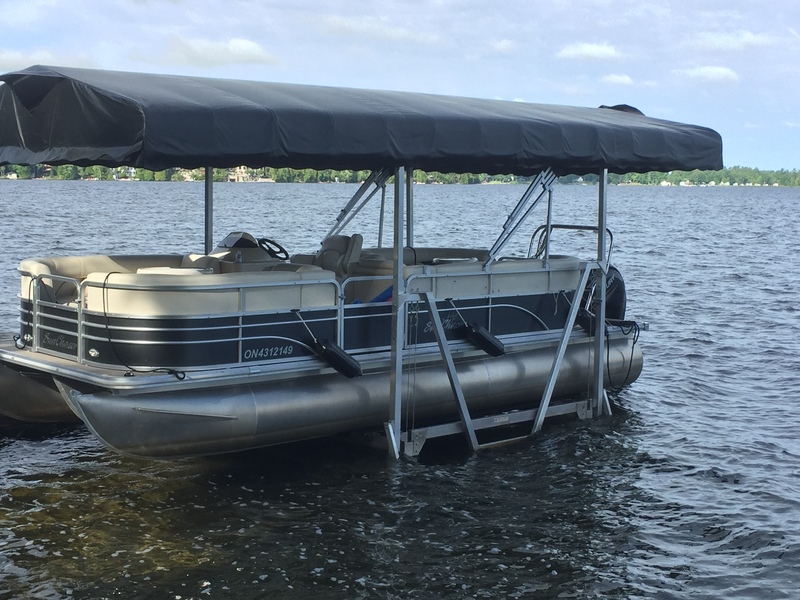 Our aluminum truss frame boat lift roof system is a great option that provides protection for your boat. 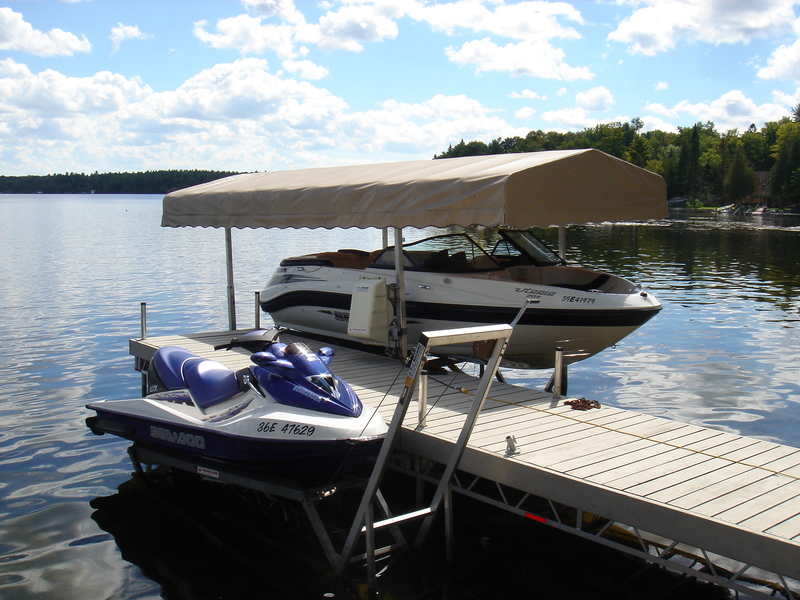 The polyester canopy helps keeps the rain, ultra violet rays and other unwanted messes off your watercraft. 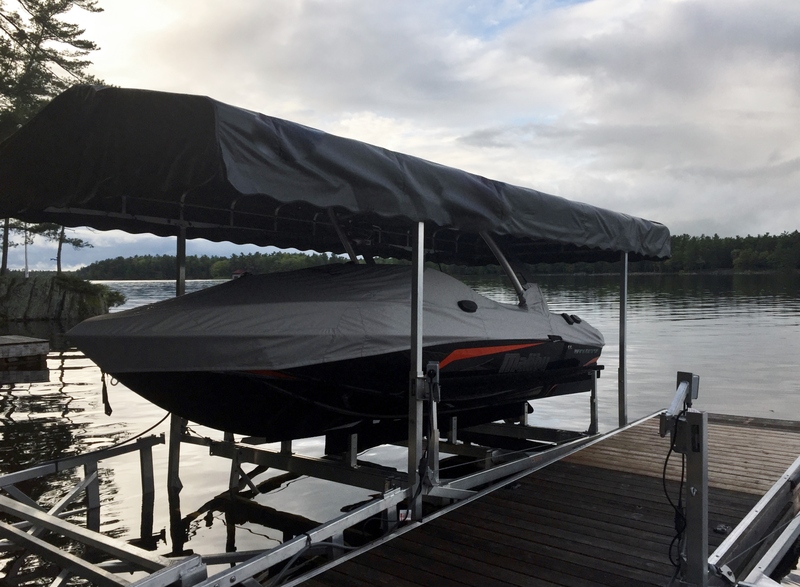 Your boat can be a big investment and by adding a roof system to one of our R&J Machine Boat Lifts, you will be protecting your investment for years to come. 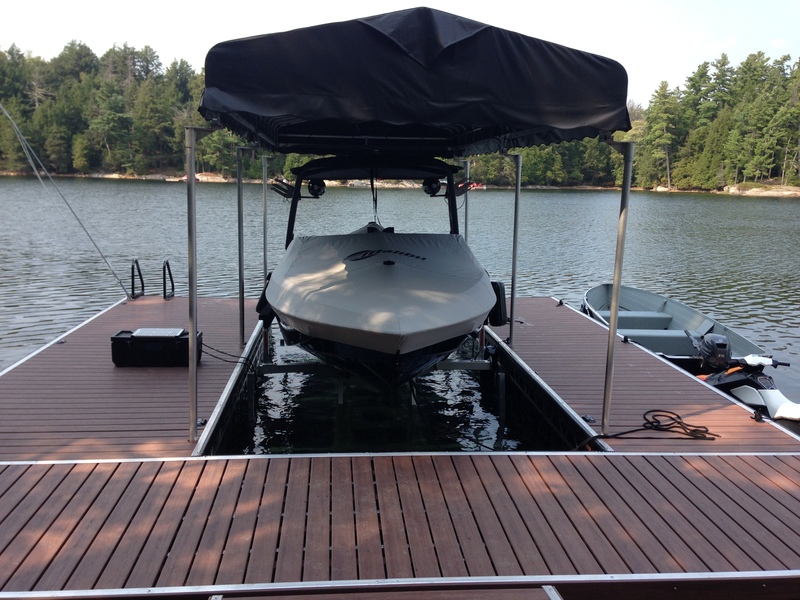 The heavy-duty 18-oz. 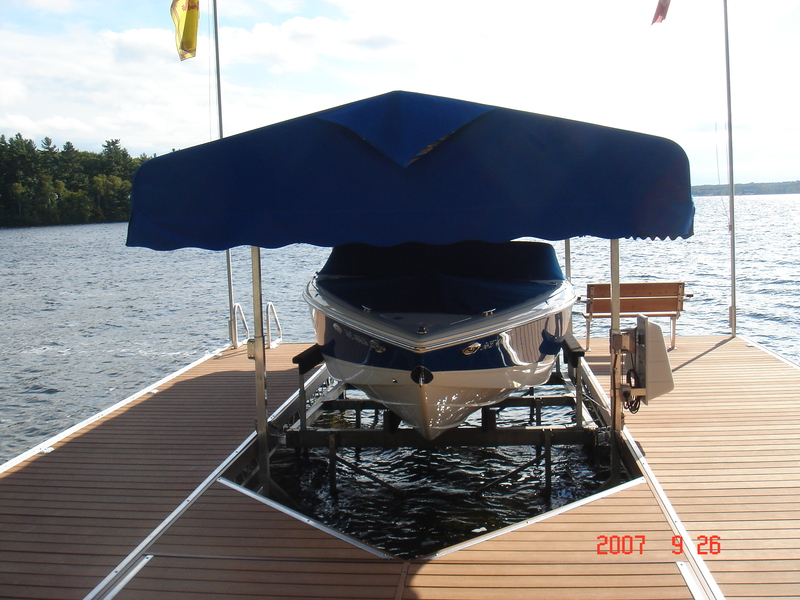 100% polyester vinyl chloride material is mildew and rot resistant and comes with a five-year warranty. 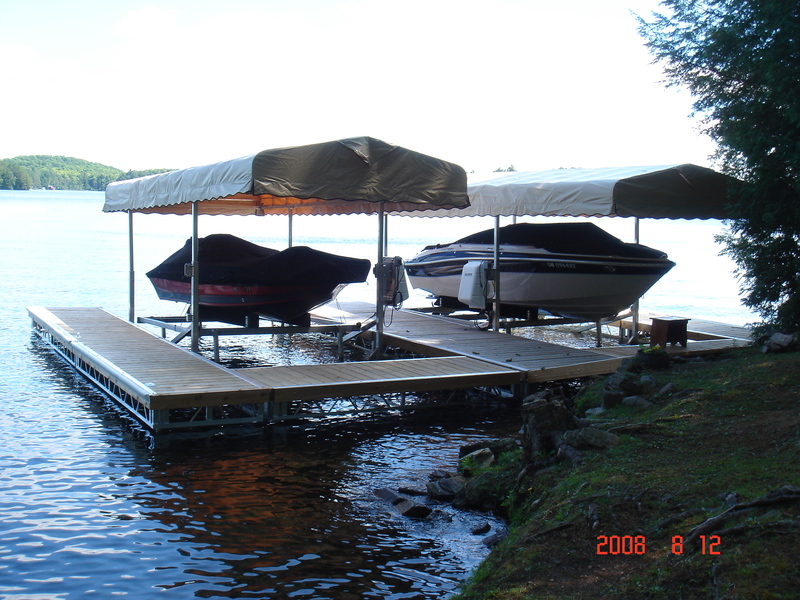 All covers are available in black, forest green, burgundy, tan, orange, white, red, brown, yellow, grey, and royal blue. 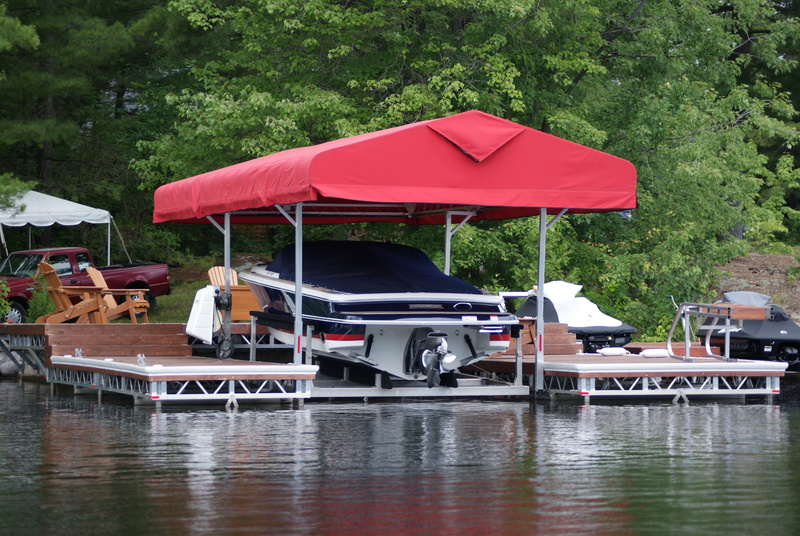 Our roof systems can be easily adjusted for front or rear positioning. 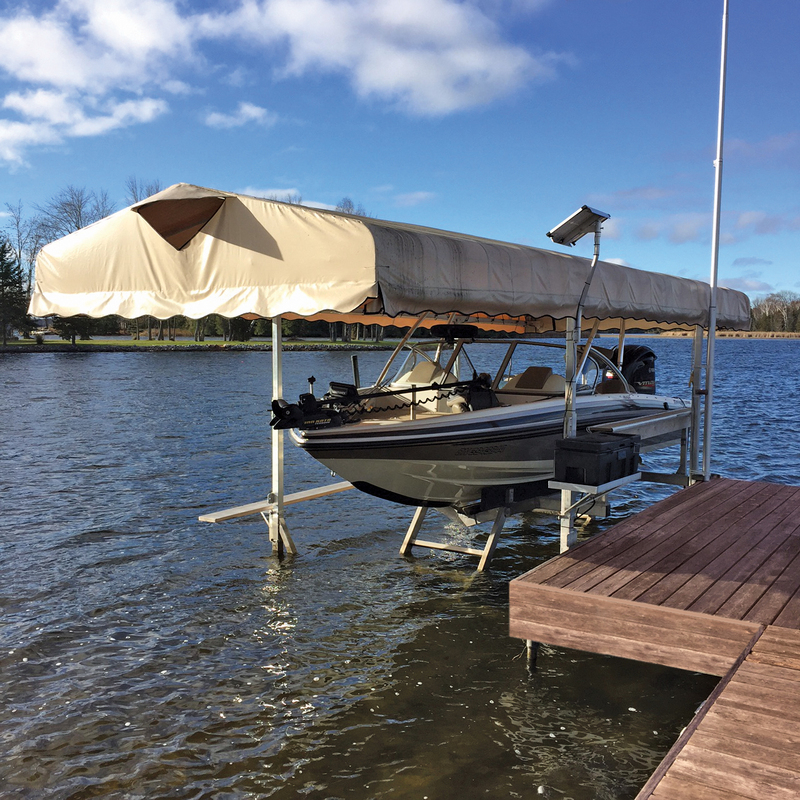 Please Note: Do not leave the vinyl canopy on the frame during winter months. 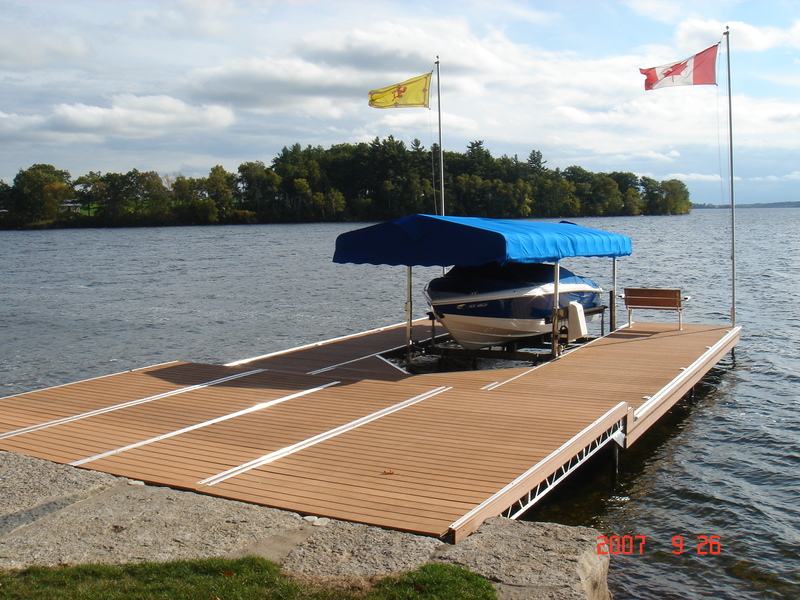 Our decking is available in Western Red Cedar, Aluminum, EON polystyrene decking and Pro decking. 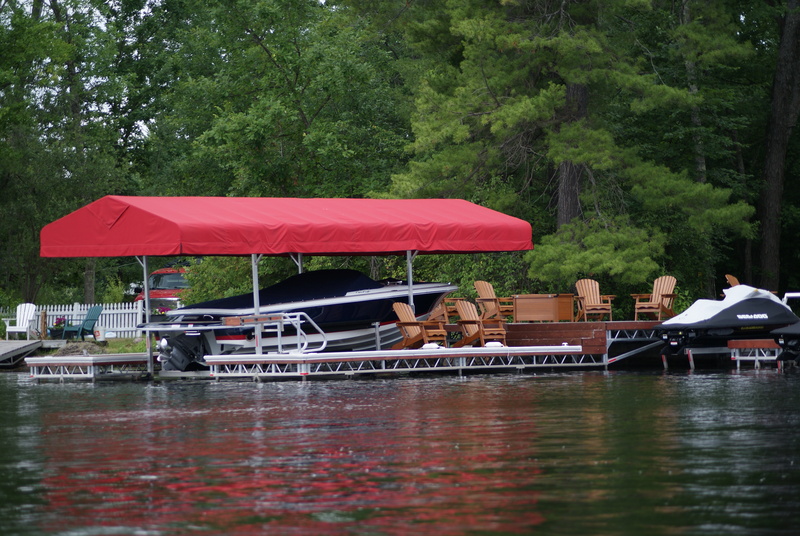 Sunbrella Colours also available for an additional charge.